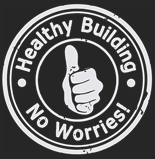 Enabling healthy living conditions by protecting building structures from external and internal moisture damage. pro clima is focused on health. Operating across the globe in more than 40 countries, pro clima enables healthy living conditions by protecting building structures from external and internal moisture damage. Our extensive range of high-performance weathertightness and airtightness systems help to create draught-free, long lasting and low allergen emitting surroundings for families, schools and businesses. Planning your next construction project? Make sure you include the leading edge and energy efficient pro clima building techniques and system components. Discounts for volume and trade apply. We all want to live in homes and work in buildings that are healthy, energy efficient and friendly to the environment. Pro Clima’s airtightness and weathertightness patented building systems, in combination with effective insulation and appropriate ventilation, create energy efficient, low allergen emitting, comfortable, healthy homes and places of business. Pro Clima’s patented systems also ensure the long term effectiveness of the insulation and the structural durability of the building by protecting it from moisture damage, thereby making sure your healthy, energy efficient and eco friendly environment remains that way for many years in the future. Pro Clima is a leader in the field of development and manufacture of intelligent high performance sealing systems for thermal insulation in constructions. 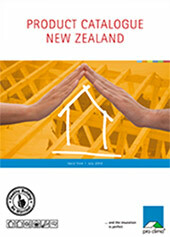 Pro Clima NZ Ltd was established in 2006 after a number of years of extensive research which identified a need for high quality airtightness and weathertightness products in New Zealand. Pro Clima has been providing intelligent airtight and weathertight building solutions from Germany to the world since 1981. Lothar Moll, Director of Pro Clima NZ Ltd and Pro Clima Germany, is a world leading building physicist and expert on airtightness systems. In 1994 he discovered the MVTR – moisture vapour transmission rate variable membrane, the Intelligent part of INTELLO, which became part of the patented pro clima Intelligent Airtightness System (IAS). We welcome all your enquiries and look forward to working together with you. Want to stay up to date? Sign up today.